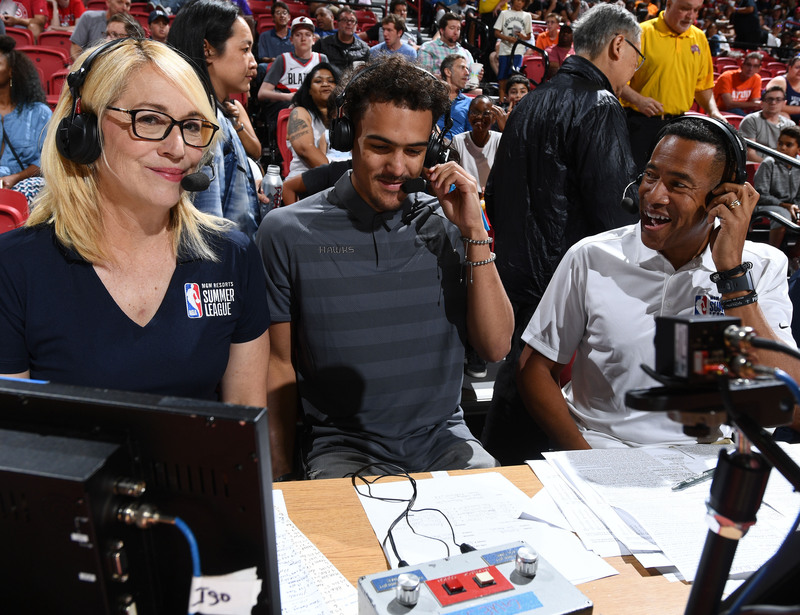 Trae Young is a steely-eyed sniper with no conscience about hoisting 30-footers, but he's also thoughtful enough to navigate the hazards that come with starring in a league dominated by social media. 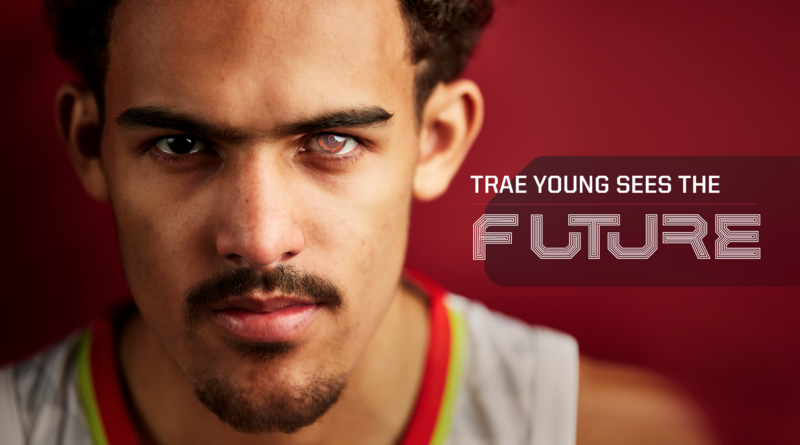 When Trae Young found out he would be in Sports Illustrated's Future Issue, appearing alongside Patrick Mahomes, his eyes got wide. "Mahomes has been ballin'," Young said. Then the Hawks' rookie point guard answered a handful of questions about how a 20-year-old sees the world. His favorite app is Snapchat. He uses Twitter to get his news. He doesn't trust self-driving cars, but he'd be fine watching an entire season of basketball strictly in virtual reality. He thinks that in 20 years the pace of the NBA will be even faster, with even more threes, taken from increasingly further behind the three-point line. "There will also be more females in this league," Young said. "Referees, coaches. You'll see the first female head coach. Some things you wouldn't even think of." At the moment he watches film on an iPhone, not the team-issued iPad. He thinks eventually there could be games live-broadcast on Twitch. As for watching games in 2018, friends and family watched his college games on national TV, but for now most of them watch online. The lottery-bound Hawks are not quite ready for TNT. "We're gonna get it there," Young promised. Young has been famous for several years. In high school there was an assistant coach assigned to help ward off selfie-seekers at games, and when Young was a 6'2" freshman point guard at Oklahoma, the whole world learned his name. "He got off to a really good start," says Sooners coach Lon Kruger. "Then the next few weeks were better. Then the next few weeks, better. He was 5 or 10 feet outside the [three-point] line and he was still shooting at a 45% clip through those first six weeks." And as Lloyd Pierce, Young's current coach, explains, "He's a small guy. It's even more special when you see someone normal able to dominate." Now, one year after his life changed forever, he's in the NBA. "I grew up in Oklahoma," Young says of his new reality. "I'd go to Thunder games. Even got to see Chris Paul, when the Hornets came to Oklahoma City for a little bit. So I've seen NBA guys, and how they are when they leave the locker room. Dressed in the nicest clothes. Driving around the city in Lamborghinis. Two years ago I was just another high school kid. Now to be around those types of people every day, it's surreal. But I mean, I knew I was supposed to be here." It's only right that Young would arrive to the NBA at precisely this moment. His name is Trae, after all, and basketball is in the middle of a three-point revolution that gets a little wilder each year. NBA teams are taking threes in historic numbers (31.4 attempts per game, up from 22.4 five years ago), and they are averaging 4.4 more points per game than last year. Likewise, while the NBA's future will be anchored by freakishly gifted unicorns like Ben Simmons and Giannis Antetokounmpo, a player like Young is a reminder that even "normal" players of the next generation will be bending the game into shapes that were once inconceivable. Young's story off the court encompasses its own lessons on the future. He arrived at Oklahoma heavily recruited but largely ignored by NBA scouts. He began the 2017-18 season 55th on SI's NBA Draft Big Board. After just six weeks he had become the latest prospect to hypnotize the sport. Two years before there had been Simmons, the next year there was Lonzo, and last season there was Young. His highlights dominated the Internet. Oscar Robertson reached out to express his admiration. Young was welcomed on stage at a Lil Wayne concert. His idol, Steve Nash, texted to say he was a fan. Steph Curry and Russell Westbrook offered public approvals. In December, Young saw that LeBron James had taken to Instagram to post a picture of the two of them from the previous summer. James captioned the photo: "Keep going young [king emoji]!! Don't stop fam!!" "I was trippin'," Young says. "And that was the day before Christmas. I'm like, 'Man, LeBron should be posting pictures with his family right now.' But instead he posted this picture with me. It's crazy. It was pretty cool, though." Soon afterward, things took a turn. "I was getting a lot of good things," Young remembers of last season's social media notifications. "Then I would see a lot of bad things. Like, 'Man, I'm tired of hearing about Trae Young. This is getting annoying. They're showing his stats during other games.'" Opponents began to double-team Young, jumpers stopped falling, and both he and his teammates struggled to adjust. After starting 12–1 and being ranked No. 4 in January, Oklahoma finished the year with an 8–10 record in the Big 12 and barely made the NCAA tournament. "Trae Young is overrated" became as ubiquitous as his highlights had been. "When one person says it," Young says, "a lot of people start saying it." Some of that skepticism continued through the draft. Young had been compared to Curry throughout the mainstream media, and in fairness, the similarities in head-splitting shot profiles are unmistakable: Through his first 13 NBA games, Young hoisted 15 shots from at least 30 feet (making six), while Curry is 6 for 13. The problem is that Curry is one of the best players of all time. Any 19-year-old would pale in comparison. "I wasn't mad," Young says. "Everybody gets compared to somebody. But right now, I'm definitely not Steph." Young arrived with the Hawks after the Mavericks gave them a future first-round pick to move from number five to three. As part of the deal, Atlanta passed on the chance to acquire Slovenian phenom Luka Doncic to rebuild around Young instead. Some pundits wondered whether the Hawks were doing this in hopes that Young could sell tickets. Others wondered if Atlanta was launching its own version of Philadelphia's Process. The consensus was that decisions like that—passing on Doncic—are why the NBA's bad teams stay bad. It was rare to find anyone outside Atlanta who believed the Hawks actually made the right call. "The thing with Luka," Young says, "he's a great player. I don't understand why it can't work out for both situations. I hear [Atlanta made a mistake] all the time. Luka's a great dude, and I think he's going to be a really good player. But at the same time, I'm going to be a better player. Just because of my ability to stretch the floor, get others involved, I think I'll be better." One month into the NBA season, some of those draft-night takes are not aging well. Atlanta will probably lose between 50 and 60 games, but there have been glimmers of a much brighter future. Full-court passes here, deep threes there, wide-open looks that will eventually fall. Both Doncic and Young have been impressive. If their futures are equally bright, the edge goes to the team that also got a likely-lottery pick out of the deal. Young opened his pro career by shooting 23% through Atlanta's first three summer league games, all losses. He shot 12.5% from three-point range. "He struggled shooting," Pierce says. "He didn't struggle. He didn't make shots that he usually makes. Floaters, threes, none of it was falling. His shot creation was unbelievable. Instantly, I said, 'Five years from now, we're going to have free agents dying to get to Atlanta.' That's what I got out of those first few games: God, how many shots did that kid create?" This is a common reaction through Young’s early days in the regular season, in which he has scored 18.5 points per game and dished out 8.2 assists. People tune in to watch a shooter and come away rhapsodizing about a passer. "Those wraparound passes," Pierce says. "Left hand, right hand. It's unreal. You don't see a lot of guys wrap around the [defender's] body and throw passes to someone on the other side of the perimeter." "That's my favorite thing," Young says. "I love hearing people talk about my passing." Shooting will still be crucial, of course. The jumper is the key that unlocks everything else. That's true for any player, but particularly this one. Walking around a locker room, Young could easily be mistaken for the little brother of a teammate. At just 6'2", he needs to hit jumpers to create space for the rest of his game to flourish. The Hawks need that, too. "I like threes," Pierce says, "but I love the rim. When you can pull a defense farther out, that paint is open. It changes everything. When you have guys who can open the paint up, it's going to challenge the defense. Just the threat of being able to shoot out there allows us to slash and roll to the rim." NBA teams launch three-pointers in record numbers every year not just because of basic math (three is more than two) and evolved skill sets, but also because of the tactical benefit of space. A team with shooters all over the arc can reframe the terms of engagement and change the geometry of offense. The farther out those threats go, the more ground defenses have to cover, and the easier offense becomes. Explains Pierce, "We have a shot, we call it the swag shot. If you're coming down on the break and the guy's backpedaling and you're in rhythm, raise up and shoot. Does it have to be at half-court? I hope not. Because we can get that shot anytime we want. So the swag shot is not to be abused." Threes are a means to an end, not the end itself. NBA teams may be launching a record number of threes, but they are also attempting the highest percentage of shots inside the paint (48.8%) since 1997. "The challenge," Pierce says, "is when to make decisions. They go under [a screen]? Shoot it. They go over and the big is back? Pull up and shoot it. You get in the paint and you're at the rim? Finish it. But lots of other times [in the paint]? Kick outs. You see a defense help? Swing it. [Trae is] in position to make those reads often. We're just educating him in how to read so he can make the right decisions." So far, the education is more entertaining than expected. In his third NBA game, Young became the first player since Steph Curry in 2010 to put up at least 35 points and 11 assists. Two weeks later, he put up 24 points and 15 assists in a win over the Heat. A finished product is years away, but as Atlanta surrounds Young with even more shooting on the other end of his passing, it's not hard to imagine this team as one of the best shows in the league. As Charlotte's Kemba Walker said of Young after an early November matchup, "He's good, man. He's a stud. To be a one-and-done guy, doing this his first year in the league, he has it. He has it. He's gonna be a special player." 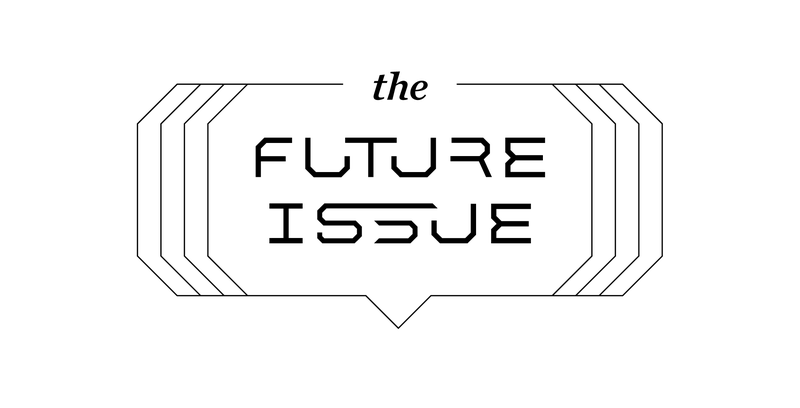 As for the other half of this story—new media pressures and how any teenage phenom stays sane—there are a few different perspectives to consider. First, 58-year-old Dominique Wilkins sounded almost competitive when asked about Young's overnight popularity. "Just imagine if I had social media back when I played," he said. "How big we would've been? And we were big! We were big. But man. I don't know if there's a word they'd have found for us." Pressed on whether international name recognition would have been healthy for an 18-year-old Wilkins, he was almost offended: "Arrrrghhhhh. It would've been great. No question! I would've welcomed it." All of that was half-serious, but it's instructive. Implicit in Nique's answer is that the attention paid to young superstars is reflective of a sport that is perfectly suited to own the modern media landscape. Basketball highlights dominate the Internet, individual stars resonate online more than athletes in any other American sport, and everyone involved will ultimately be wealthier and more famous as a result. For a player like Wilkins, the modern era is worlds better than the tape-delay NBA he watched growing up. For his part, Young is matter-of-fact. Last year prepared him for an NBA climate that will only get wilder the more successful he becomes. He's more detached from those conversations now; he learned that he can't stay on social media after the wins and then expect to ignore it after losses. "There are going to be good days," he said. "There are going to be bad days. You need to know how to handle it." This conversation came the night before Zion Williamson's nationally televised debut for Duke against Kentucky. "It's going to be crazy," Young said of the year in Zion. "But there's going to be a time, I'm telling you, there's going to be a team that goes zone and just makes him shoot the whole game. And he's going to have a game where he's like 2 for 12. And people are going to say, 'Pffft, he's not that good.' When really [it's because] they're just playing zone the whole game. "Zion, there are going to be times he's going to get backlash. But he's ultimately going to be great. Same with [Duke's] R.J. [Barrett]. It's going to be this same cycle." That cycle isn't totally new to anyone who, for example, followed the rise of LeBron nearly two decades ago. The difference is that once-in-a-generation LeBron madness is now becoming an annual tradition. As the Internet devours basketball news at every level, today's young stars are fawned over, they are sought after, and their upside becomes a talking point throughout the entire sport. Then, usually, it becomes cooler to explain why they're not as special as everyone thinks. And because most of this happens when players are 18 and 19, growing pains are inevitable. Criticisms are validated, flaws are magnified. Then, somewhere much further down the line, everyone moves onto a new argument. Pundits relax. Players become basketball stories again, not trending topics. 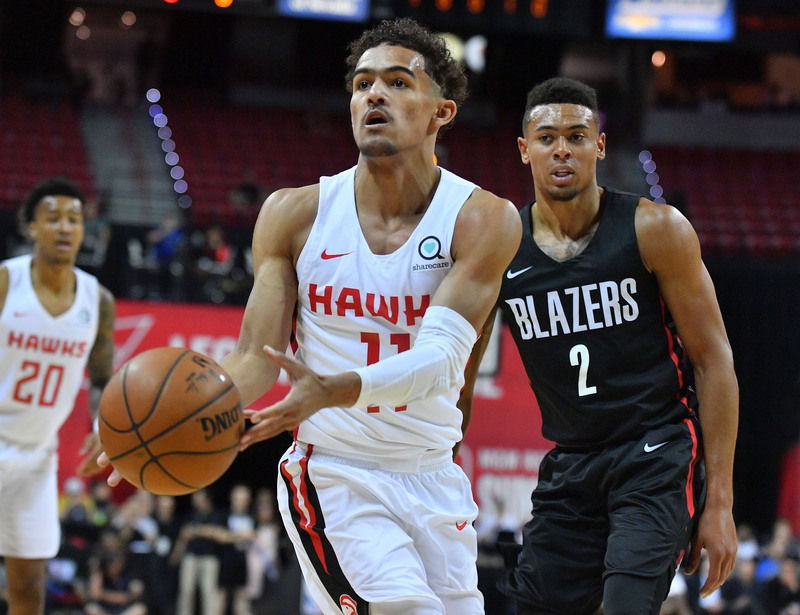 The first month in Atlanta has been like a reintroduction for anyone who might have forgotten to be wildly curious about Trae Young and where all this leads. At the moment, he's not overrated or underrated. He's just an undersized point guard trying to help rejuvenate a franchise that hasn't been nationally relevant in somewhere between four and 40 years, depending on your definition of relevant. Before he made it here or to SportsCenter last year, the new Hawks point guard was at the Norman, Okla., YMCA working out at 6 a.m. every day before high school. After classes and practices, he'd return to the court. Most days he'd be there with his dad, Rayford, who played basketball at Texas Tech and then professionally in Europe. While his dad was traveling all over Europe, the point guard watched NBA games with his grandfather, also Rayford, who had played junior college basketball. That's how he fell in love with the sport, playing one-on-one in his grandfather's living room. "That's my first name too," Young said. "I'm the third Rayford." And that's why his middle name is Trae.